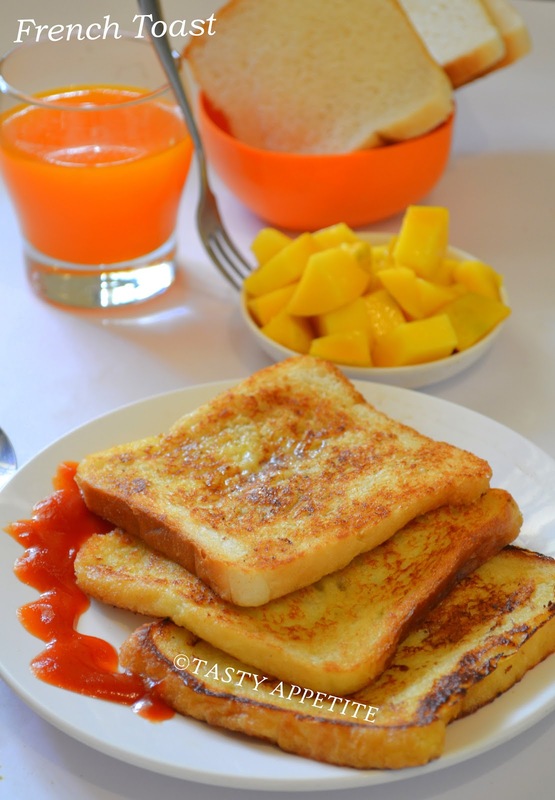 French Toast is an easy yet tasty breakfast option, perfect for Sunday mornings...! The recipe below is for single person. 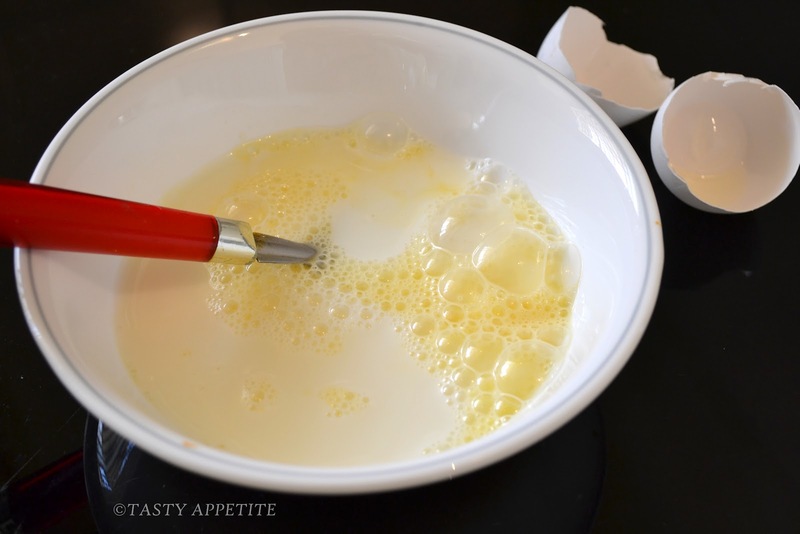 You can increase the number of eggs and the quantity of milk, sugar & cinnamon batter accordingly. 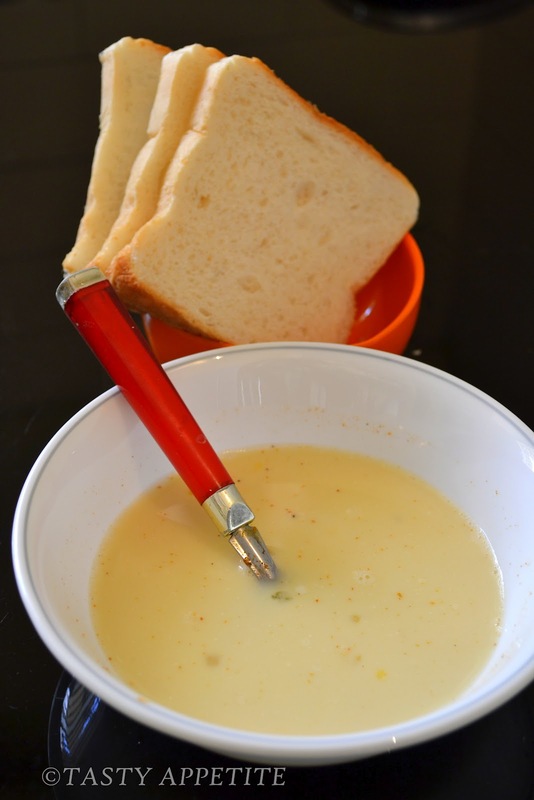 Instead of plain bread, grain or whole wheat bread can be used. It helps to gain more amount of nutrients required for our day-to-day life & keep us healthy and active. Check out this easy to follow interesting French toast recipe..!! 1. In a bowl, add egg. 3. Add cinnamon pwd and sugar. 4. Mix it well with a spoon to get a smooth consistent batter. 5. Take a single bread slice. 6. 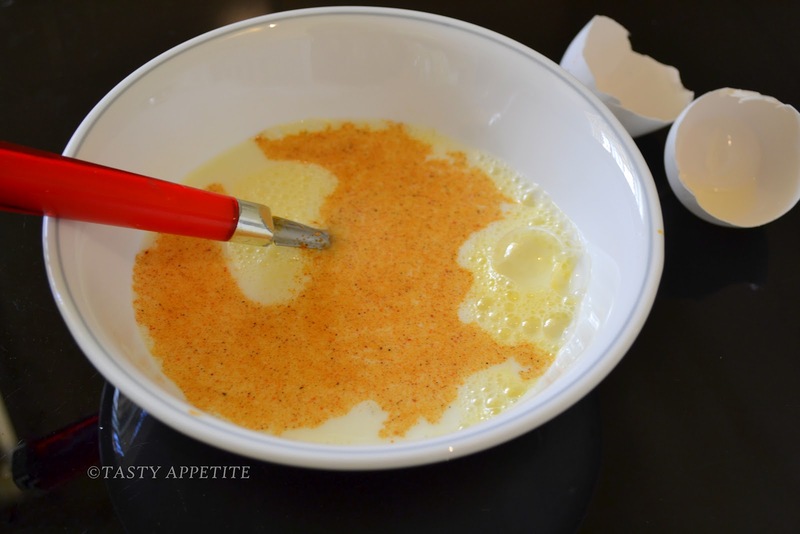 Dip it in the batter. 7. After 20 to 30 seconds, turn the bread to next side. 8. Make sure the bread is well coated. 9. Heat a pan in medium flame. 10. 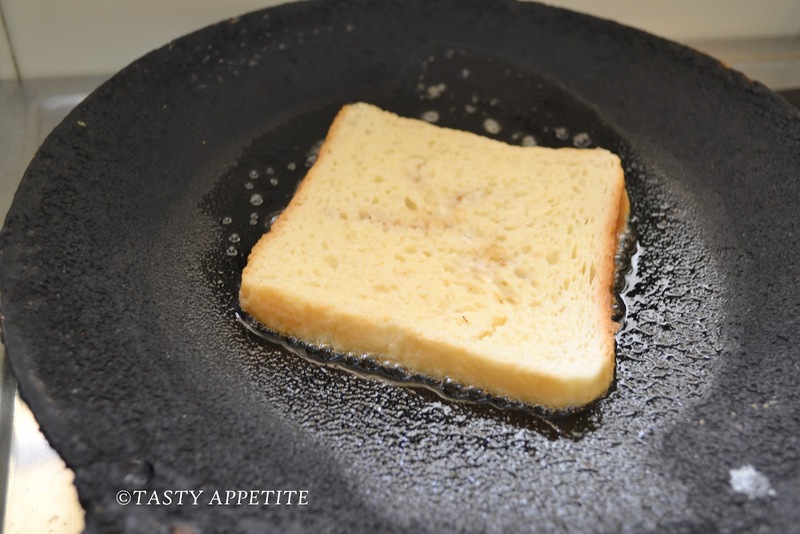 Melt a tsp of butter in pan. 11. 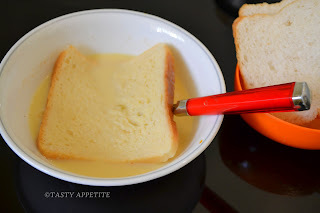 Transfer the coated bread slice over butter. 12. After a minute, flip the toast to the next side and cook it till crisp. 13. Dash some butter on top of the bread too. 14. 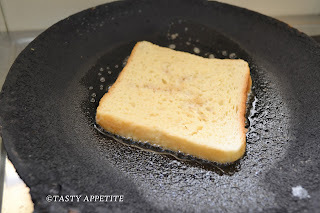 Once it turns golden brown & cooked completely on both sides, transfer it to serving plate. 16. 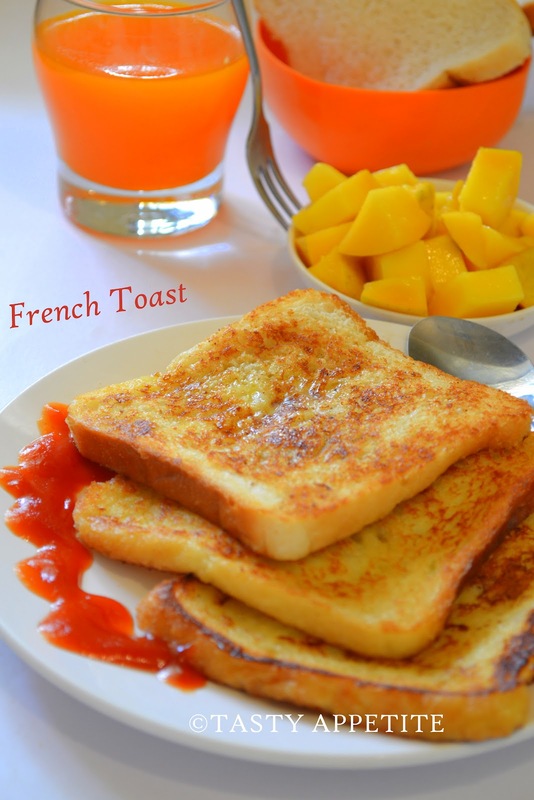 Delicious French Toasts are ready..! Serve hot with tomato sauce or any dip..
17. 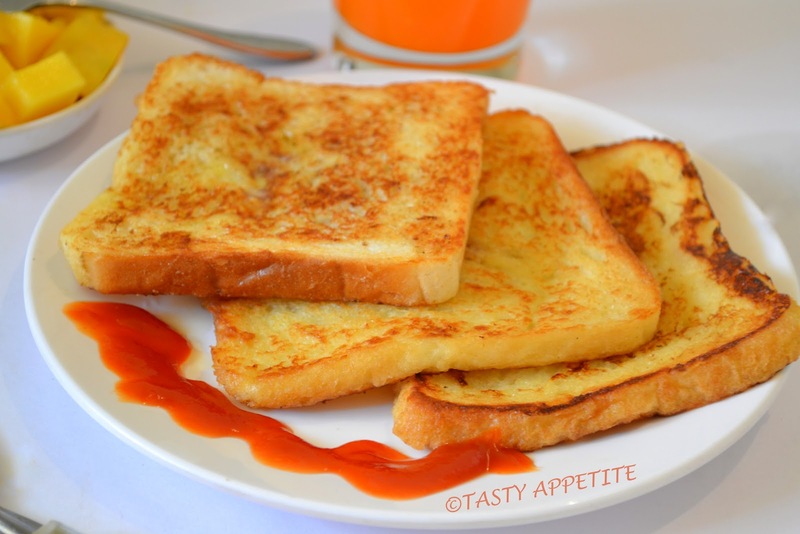 It makes an awesome filling breakfast loved by kids too..! Delicious.. Perfect breakfast. I use vanilla extract instead of cinnamon powder..
Whatever you made, it comes out absolutely perfect, Jay. Putting butter on the middle of bread is really awesome. French toast looks mouthwatering and yummy. A perfect breakfast!! 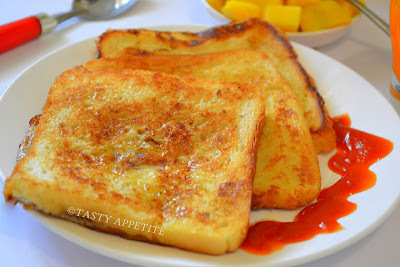 My hubby loves french toast.. He can eat it for breakfast lunch or dinner..hah!! always love it... but have not added the cinnamon... will try next time.. I can have it anytime,my fav toast. My favorite... Love the toast. 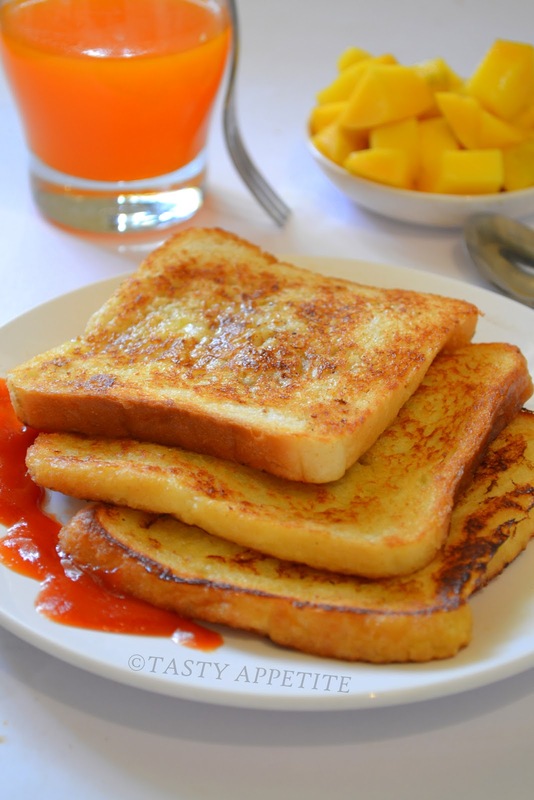 Quick & delicious toast,I usually add cinnamon to it,will try with cardamom powder too..Yummy! Mmmm...It used to be called Bombay toast in the Indian Coffee House. wow that looks gorgeous...bet it tasted the same too...beautiful clicks!! Your French toast look so scrumptious!! I would love to get up to a plateful of this toast. Hi Jay, one of the perfect and delicious breakfast. Most children sure love it. Yours look beautiful, the color is perfect. Have a nice weekend. Regards. P/S I'm back from hiatus, drop by when you free. looks perfectly done, lovely clicks jay! Thanks for your sweet notes friends...its truly inspiring..! 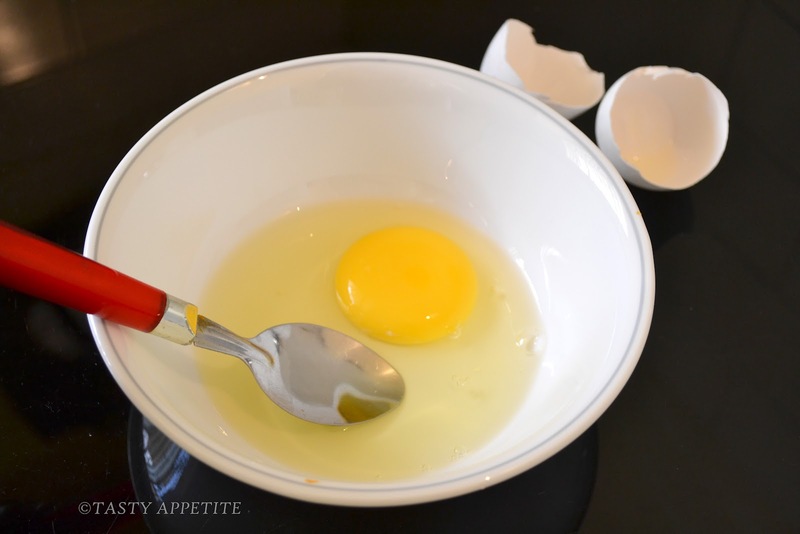 Simple to make and really delicious. Jay, I sincerely thank for this beautiful step by step recipe of French Toast. I will make it for my kids on weekends. Thanks. i always love your step by step method... looks so yummy.... by the way today i cooked poha kheer according to your recipe.. it tastes too good.. thanks for sharing the recipe..
What a yummy breakfast, nutricious and delicious. Great tutorial. Oh, I love this with a sprinkling of sugar! this would be perfect for an elegant breakfast! super recipe...inviting you to join in Fast food - Noodles event . i made these yesterday and i totally love it too! 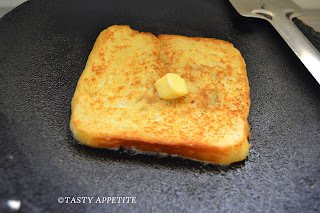 Just want to let you know that This is the best french toast recipe that I have ever seen. Pics are awesome. Wonderful recipe, much better than torrijas because there´s no need to fry them. Happy Saturday! I would make this, Jay. Oh, wait, I do! 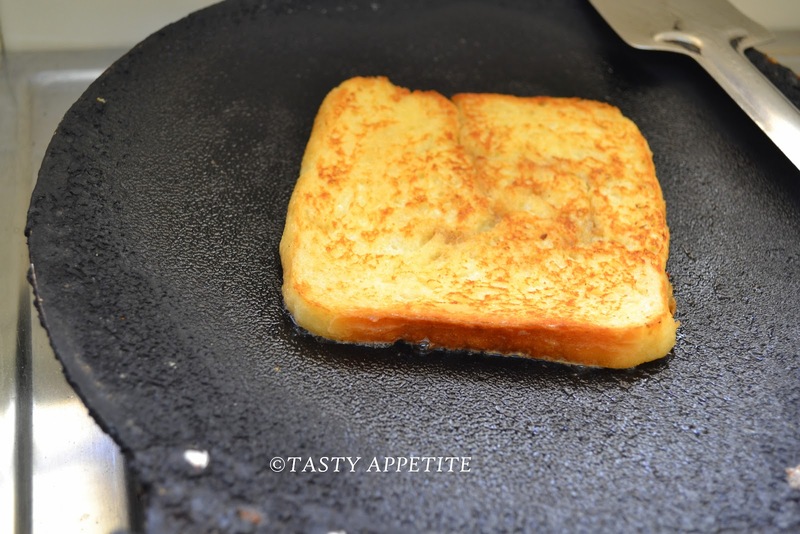 French toast is always a good choice and I thank you for reminding me to make some for Sunday breakfast. I like mine with agave maple syrup drizzled on it. Jay! 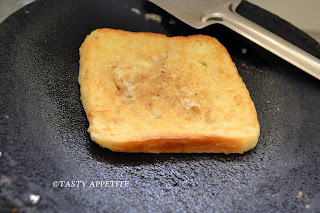 easy and delicious breakfast..
French toast makes such a great breakfast or brunch dish! I haven't made any in quite some time - I should do it again, don't you think? Thanks for the inspiration! Wow!! Love the cinnamon in it!! WOnderful post!! 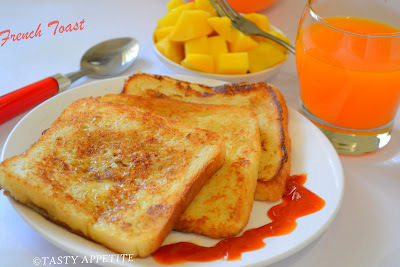 Wow.. my favourite breakfast..:)) Loved the yummy inviting platter..
Thnks for the super bfast recipe jay :) Love this toast!! Happy Onam to all my Lovely Friends..! Happy Aadi Velli Celebrations to Everyone ..! !